The Stallard Family Fund, an endowed fund with the Caring Community Foundation, has its roots in Onaga. It was created by Wayne M. Stallard, attorney-at-law as a memorial for his son, Bruce Wayne Stallard. Bruce Stallard, music major at the University of Kansas, was killed by a drunk driver as he was returning to Onaga to sing at his church on Easter morning 1985. Within a year or two under the personal management and investment by Wayne Stallard, the memorial had matured enough to grant a scholarship on an annual basis to a deserving Onaga High School graduate. Wayne Stallard was a native of the Onaga community himself. He grew up on a farm located 2 miles south of Onaga. He attended Washburn Law School and served as Pottawatomie County Attorney for 1 term in the mid-1950s. Returning permanently to a private practice in Onaga, Wayne acted as legal counsel for several organizations such as Pottawatomie County Rural Water Districts #1 and #3, Unified School District #322 and Community Hospital District #1. He also served on the board of the Pottawatomie County Economic Development group. While serving as counsel to the hospital board, he rallied area support for a community based healthcare system. Mr. Stallard became an integral part of the strategic planning for the formation of hospital districts in Kansas. 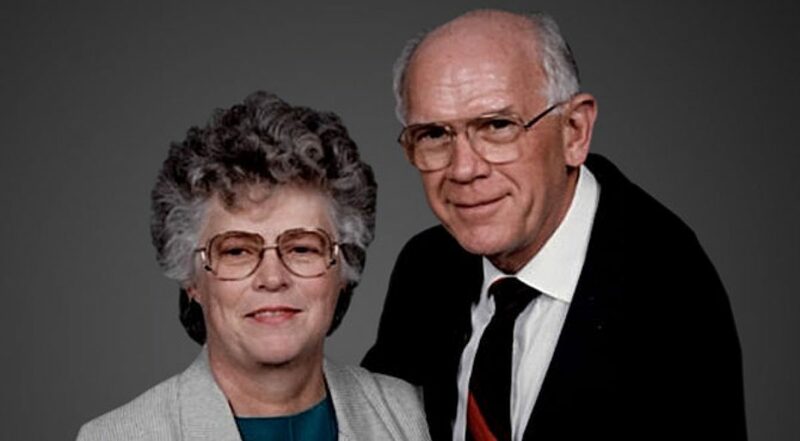 Wayne and his wife, Wanda, were active in community service all of their adult lives. Their daughters, Deborah Stallard and Carol Hudler are continuing the family tradition. In 2015, the Stallards contributed $15,000 to dedicate a patient room in Community Hospital, Onaga.